“The goal of our life is to bring more love and truth into the world. We represent what sometimes seems to be a “dying breed” a long-term, happily married couple. Life partners for 39 years, it keeps getting better. To be clear, we have experienced many of the challenges that most couples face. We navigated the rocky terrain of raising three children, faced serious health challenges, stumbled our way through issues of sexuality and attractions to others, dealt with two careers and traveling for work, and negotiated significant differences in energy and style. We met at the tender age 21, and had a lot of growing up to do together- often the hard way. We created, and then had to learn to dissolve, complex and difficult dynamics of dependency and autonomy with a liberal dose of power politics. We are both strong-willed individuals, and managed to create a good bit of suffering, hurt, and anger along the way. And yet here we are: more in love, and better friends, partners and lovers than ever before. People often ask us, how did you do this? We were very blessed from the very beginning of our marriage to see our relationship as a spiritual path. More than anything, it has been this commitment to marriage as a vehicle for practice that has given us the courage and tenacity to master the difficult lessons of relationship. Human beings have always been drawn to intimate partnership. For most of history, marriage was primarily a social and economic bond and the context in which to raise a family. Only in recent years have people come to expect their mate to also be a best friend and confidant, soul mate, great co-parent and co-wage earner, and an exciting and fulfilling sexual partner. Given these rising expectations, along with the challenges of our highly demanding and stimulating world, it is not surprising that the institution of marriage is under great stress. Many of you reading this may be children of divorce, or yourselves may have experienced the end of long-term partnerships. Many people are questioning the value of marriage and wondering if it’s so hard why bother? Some ask if holding onto relationships when it is hard isn’t an attempt to try to make something permanent in what is essentially an impermanent world. If we were free, wouldn’t we just move on? In our work with couples over the years, we have come to appreciate that it is often good and right for committed relationships to end. But we also have seen that many relationships founder because people are lacking the commitment and skill to create lasting, loving and mutually satisfying partnership. We believe in the possibility and importance of long-term intimate relationship. Most of us carry a deep longing for someone special to share our life with. While we actively support the emergence of new forms of family and partnership, we also see that healthy couples are a vital foundation for healthy families, which in turn make up healthy communities and healthy societies. For those of us on a spiritual path, most of us will not ultimately choose to live in monastic settings. But through our work with couples, we have found that for many people, committed relationships can serve as a profound and powerful vehicle for our spiritual life. As with any spiritual path, there are attitudes, values, and specific practices, which help us to live an awakened life. And there are also attitudes, beliefs and habits, which deaden and hinder our progress. On the path of relationship, our partner becomes the foundation of our sangha or spiritual community. Our purpose in coming together is no longer to only enjoy life or raise children, but also to challenge and support each other to wake up. Relationship is a very advanced practice and not for the faint of heart. It’s one thing to practice compassion or loving kindness sitting alone on your meditation cushion. It’s quite another to keep your heart open in the face of conflict or dissatisfaction with your loved one. In the fire of relationship, we are challenged to actually put into practice all the great spiritual teachings. We must learn compassion for ourselves and for the other. We must learn forgiveness. We must loosen our own attachments to how we think life should be. We must learn to release one another from fixed opinions, surrender judgment and come ready to meet each moment fresh- without the baggage of history, blame and hurt. All spiritual paths have in common the invitation to let go of our identification with a smaller sense of conditioned self. Our committed relationships challenge us to do this ”24/7′. To thrive in relationship, we must let go of our need to dominate, to be right, and ultimately our need to be separate. The beauty and power of relationship as a path is that when we don’t, we get immediate feedback. There is no place to hide from the mirror of intimate relationship. Our partner reflects both our inner beauty, but also the ways in which we are unconscious. Behind closed doors, when our guard is down, no one sees our gloriously human imperfections as clearly as our partner. But also, no one else believes in us as much. No one else has said, “Yes, I will walk this path of life with you every day.” No one is as dedicated to our well being. No one else holds us to the highest possible standard with as much fervor and dedication as our partner. And the loving gaze of our partner’s eyes and the healing touch of their hands on our body, has the power to penetrate our illusion of separateness, to open and awaken our hearts. With strong intention and by using the tools and practices of relationship as a path, we can both meet our human needs for companionship on this journey of life, while deepening in spiritual friendship that supports our awakening. Here is a practice that we teach in our workshops that couples can do on their own. Having a wonderful time, wish I was here. One of the main ways relationship falters is when we simply don’t show up with each other. We get busy or distracted. We’re physically in the vicinity of each other, but not actually IN relationship. This simple practice helps build a foundation of presence and the shared experience of being met…and being loved. Dedicate at least 10 minutes to this simple practice of presence. Sit opposite each other. Light a candle between you and bow to each other. Allow your gaze to softly rest into your partner’s left eye (that’s the one on your right). Let your breath soften and deepen as you gaze with soft and relaxed eyes. Let yourself experience being seen by your partner. If thoughts arise (and they likely will) do your best not to take the ride on them, but keep calling yourself to back to presence as soon as you notice. Return again and again to your breath, to inhabiting and feeling your body, and to simply being with your partner. Do not attempt to make anything happen, but simply be present. If your eyes tire, you may both closely them briefly, then return to the practice. Complete by bowing to each other. Take a few minutes to share about your experience. 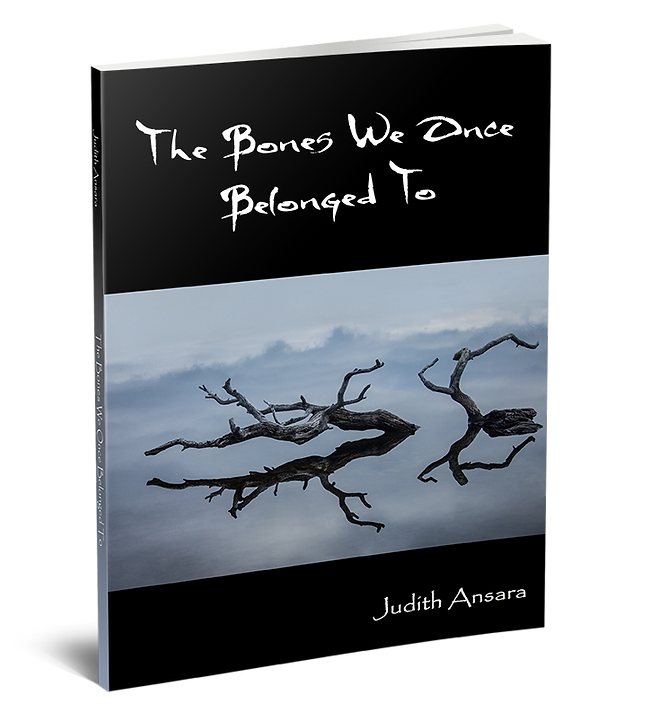 Check out Judith's poetry book.